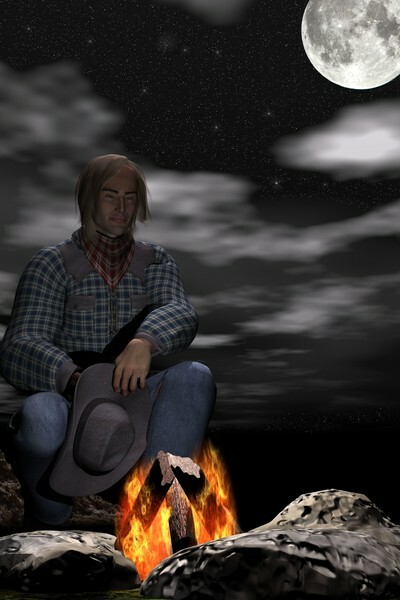 Cowboy sitting by a fire. Artist Reply: :) Thanks, Sheila. I appreciate the compliment. wow so awesome kelly just great!!!!!!! Artist Reply: Thanks Jamie :) I'd be happy to send you a copy of it if you'd like. Artist Reply: :) thanks for the compliment, Jamie. Artist Reply: Thanks for the compliment :) I had a lot of fun making this one.